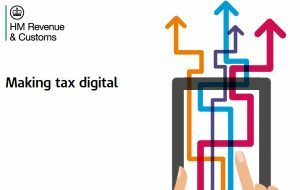 In the 2015 Budget, HMRC announced the introduction of Making Tax Digital, an initiative to modernise the tax system. At the time, it was heralded at the ‘death of the tax return’. Since then, there has been little news in terms of how this will actually be achieved. However, HMRC have now published a number of consultation documents which seek to show how the initiative will develop. We have paid particular attention to Bringing Business Tax into the Digital Age. HMRC believe that businesses want to have better access and information in respect of what tax they have to pay and when it is due; they believe that this can be achieved by quarterly reporting. HMRC believe that small businesses make mistakes in their record keeping, which ultimately means that they pay less tax; this can be removed by maintaining digital accounting records. HMRC believes that the manual retention of accounting records by businesses (bank statements, purchase invoices, sales invoices, etc..) leads to mistakes being made in the processing of the transactions; they believe that this can be eradicated by keeping ALL of those records digitally. The proposals in the consultation document are intended to be introduced for the self employed (sole traders and partnerships) and landlords in 2018, and limited companies in 2020. Businesses with a turnover of less than £10,000 p/a will be exempt from the new requirements. We have read the consultations and whilst we think that there are many benefits of processing and maintaining electronic accounting records, we also firmly believe that it is not for everyone. Over the years, we have strongly advised clients to keep their records in a manner that they are comfortable with. Many small businesses feel comfortable with keeping manual records (such as a hand written cash book). They are able to run their business, pay suppliers and salaries, and chase debts, without having to run an accounting system. Also, we have handled the tax affairs of hundreds of small businesses over the years and have found that business owners don’t generally get surprises with their tax bills. They know that if their results have been good for the year, they can expect a higher tax bill. There will be a significant increase in the administrative burden if they have to report their income and expenditure on a quarterly basis, rather than annually, and we don’t think that small businesses will benefit from the extra administrative cost they will incur. HMRC’s view that ALL accounting records should be stored electronically is also misguided. I attended a HMRC webinar on Making Tax Digital in early September 2016 and asked the question “Do ALL purchase invoices have to be kept digitally? And if so, what will that achieve?”. HMRC’s response was “Yes, all transactions will need to be recorded digitally in software (although updates will consist only of summary data, not every transaction that has occurred). The purpose of the digital record keeping requirement is to reduce the number of record keeping errors that currently need to be corrected later.” This shows a lack of understanding as to how bookkeeping works. The implication is that (a) manual records are prone to mistakes, and (b) these mistakes can be eradicated by storing the prime documents electronically, which is absurd. HMRC are at pains to dispel the concept that businesses will be required to submit 4 tax returns per year. The Foreword by Jane Ellison states “There will be no requirement to draw up a set of accounts each quarter. This reform does not mean ‘four tax returns a year’. In fact, it will eliminate the burdensome annual return and simplify tax for businesses”. However, the information submitted to HMRC will be details of income and expenditure (albeit in a simplified manner). This follows the same process for pulling together figures for a tax return. Extending the scope for cash accounting. They make the case that this will simplify the accounting requirements for small businesses. However, we believe that cash accounting is only suitable in certain circumstances, as a business can lose control over such things as tax relief on capital expenditure, and by simply looking at cash transactions, it can also lead to fluctuations in results which can have the effect of overpaying tax. Providing small businesses with a mechanism for flexible tax payments. However, this is effectively already available. If you submit your 2016 tax return in July 2016, you have 6 months to pay your tax bill (deadline 31.1.17). If you wish, you can set up a payment plan with HMRC to spread the payments over this period. However, as convenient as this makes the payment process, we have found a large number of business owners actively prefer to delay any payments to HMRC until the last minute! The consultation period runs until 7 November 2016. It’s worth pointing out that it is exactly that, a consultation, but it can only be developed by input from various parties. We will be sending our comments from us, as accountants. However, we are sure that HMRC also need to hear from business owners. If you have any concerns about the viability of the changes, or comments in general about Making Tax Digital, then please send these to mailto:makingtaxdigital.consultations@hmrc.gsi.gov.uk.